Not Vintage, but rather Retro! Ride in trust in this overhauled Classic Cafe Racer Leather Jacket by Xelement. 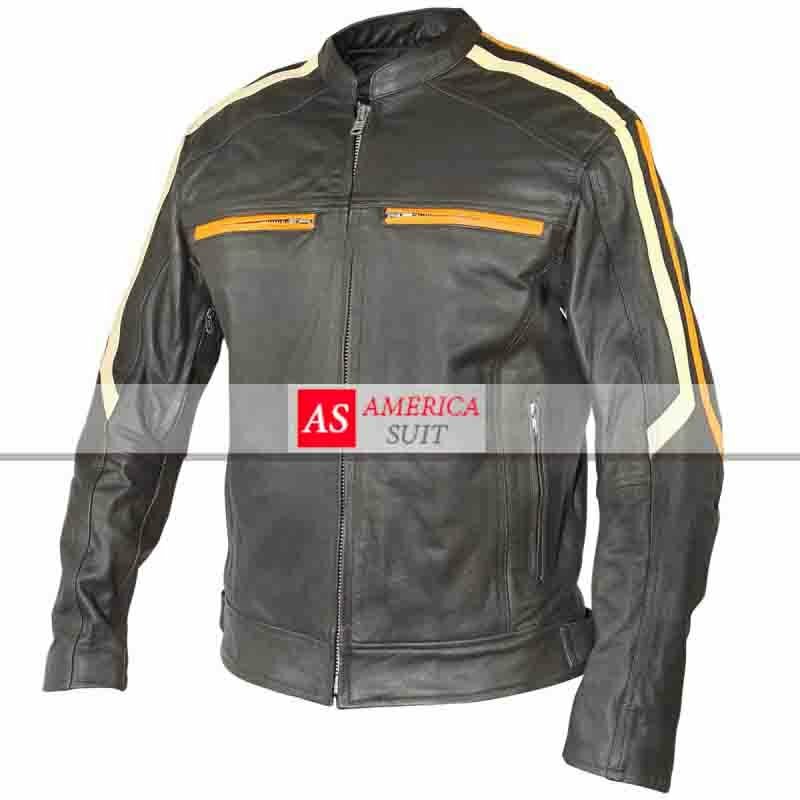 Hip-length incline cut, smooth premium cowhide calfskin with low neckline is neatly styled with front-zip conclusion and zipper sleeves, removable protection liner, YKK equipment and inside pockets. Brown Waxed Cafe Racer Leather jacket Our own creation of Cafe racer style biker vintage w..